King Felipe VI of Spain and Basque President Iñigo Urkullu will preside the opening session of the World Assembly of Jesuit Universities (IAJU), which will be held at the University of Deusto. The Father General of the Society of Jesus Arturo Sosa, SJ, Cardinal Gianfranco Ravasi and the Rector of the University of Deusto, José María Guibert, will also take part in this event beginning at 11:00. 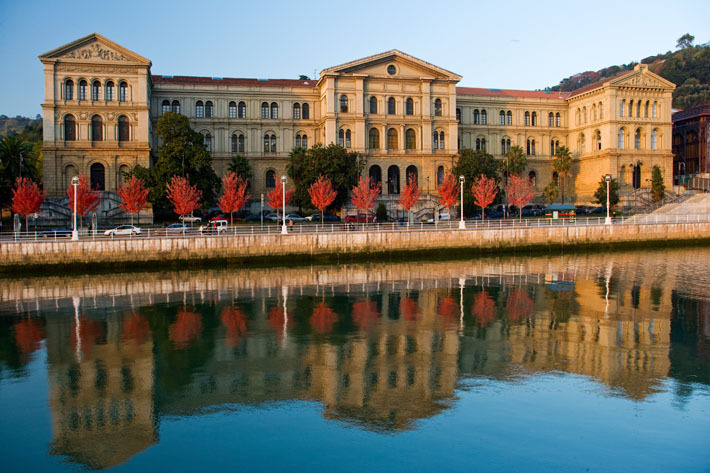 The University of Deusto has everything in place to host the World Assembly of Jesuit Universities from 8 to 12 July in Bilbao. Chaired by the Father General of the Society of Jesus, Arturo Sosa, SJ, this event will be attended by some 300 rectors and authorities from over two hundred universities, colleges and Jesuit higher education institutions from all over the world. This will make Deusto the capital of Jesuit universities. Under the slogan “Transforming Our World Together”, this meeting intends to prompt reflection and examination of some of the key challenges that Jesuit universities and the world are facing. Examples include political and civic leadership, environmental and economic justice, education for the most disadvantaged, peace and reconciliation and interreligious dialogue. Setting up the new IAJU network leading figures such as Cardinal Gianfranco Ravasi, Cardinal Giuseppe Versaldi, Pankaj Mishra and Gaël Giraud, SJ, will speak at the Assembly. Subjects for the new IAJU governing board will be discussed and new possibilities for cooperation between universities, regional networks and within the international association itself will be analysed. There will also be iconic moments such as the signing and setting up of the new International Association of Jesuit Universities (IAJU) network at the Loyola Sanctuary. This association will provide the entire Jesuit university network with a legal status, structure and stability. It will give the world’s universities new impetus.